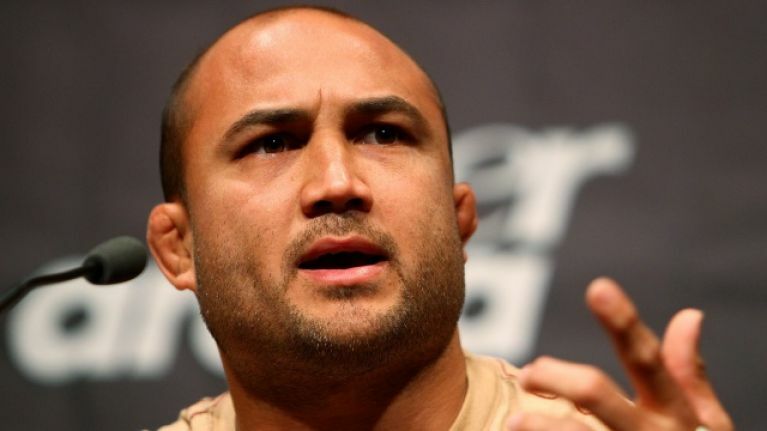 BJ Penn's team have released a statement in response to the abuse accusations from the mixed martial artist's estranged girlfriend. Penn has been accused of years of abuse by the mother of his children, whose request for a restraining order against the fighter was granted in February according to online Hawaii family court records. The former UFC lightweight and welterweight champion, who has not been arrested or charged with a crime, is accused of physically and verbally abusing and Shelean Uaiwa for years. In a recent court filing first reported on by MMA Junkie, Uaiwa alleges that Penn has been a drug addict from the age of 14 and details several instances of alleged mistreatment - both physical and verbal - which made her fear for the safety of her and her children. Penn has released a brief statement on the allegations via his website, BJPenn.com. "BJ is in a highly-contested child custody case involving his two young daughters," the statement read. "The order of protection has made serious allegations against BJ. The allegations are so, misleading, hurtful and false that any further comment by BJ or about BJ would cause more damage to the well-being of his children and potentially further inflame the pending custody proceedings. BJ and his family ask that you respect their privacy at this very difficult time." Penn is currently scheduled to fight Clay Guida at UFC 237 next month.